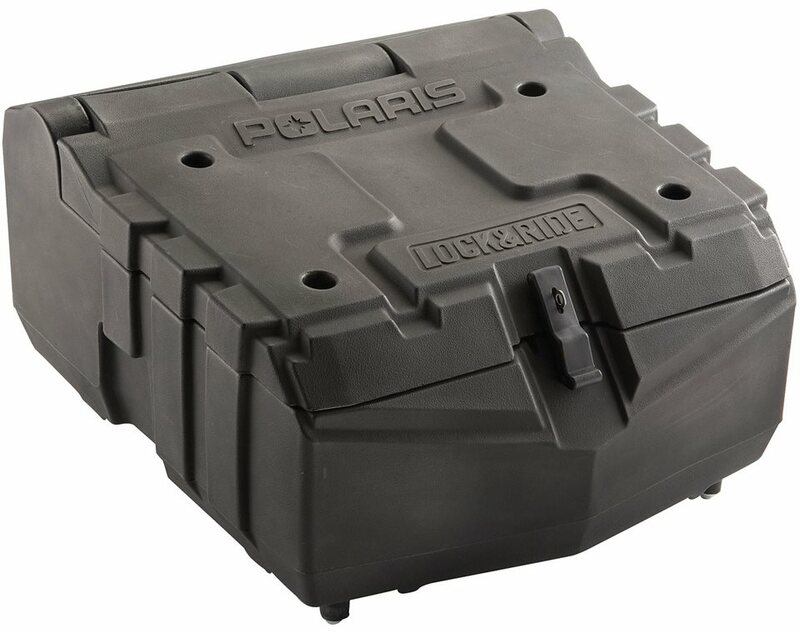 The Polaris® Lock & Ride® Cargo Box is tailored to fit the cargo area of a RZR® perfectly. Lock & Ride® Technology ensures it goes in easy and stays secure until you decide to remove it. Massive storage space holds a ton of gear and weather-tight lid keeps it dry and safe from mud or rain.